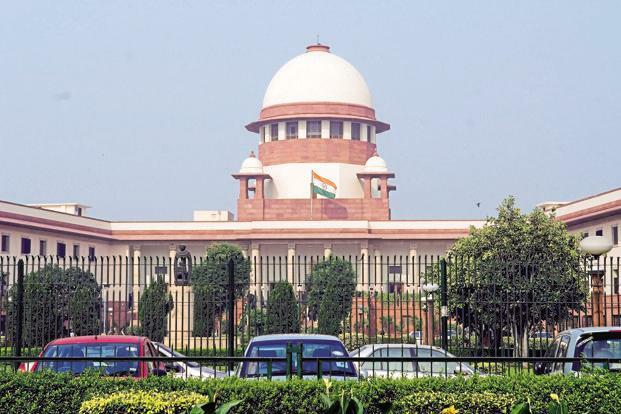 There is no justification to keep the enforcement of the Lokpal and Lokayuktas Act under suspension till certain amendments are carried out, SC tells government. In a major verdict, the Supreme Court on 27th April, 2017 held that there is no explanation in delaying the appointments of Lokpals and Lokayuktas. The SC held that the Lokpal Act is a workable piece of legislation and there is no justification in putting its enforcement on hold. A bench comprising justices Ranjan Gogoi and Navin Sinha rejected the government’s contention that a Lokpal cannot be appointed because certain amendments to the law are pending before Parliament. “There is no justification to keep the enforcement of the Act under suspension till the proposed amendments are carried out,” the court said. The apex court said the Act was an eminently workable piece of legislation and it “does not create any bar to the enforcement of the provisions”. The bench quoted provisions of the legislation to hold that the appointment of chairperson or member of the Lokpal will not become invalid “merely because of the reason of any vacancy in the selection committee”. The court opined that if the leader of the opposition is not available at present, the chairperson and the other two members of the selection committee — the Lok Sabha Speaker and the Chief Justice of India (CJI) or his nominee — may proceed to appoint an eminent jurist as a panel member to make recommendations to the President. The court’s order came in response to a public interest litigation (PIL) filed in 2014 by advocate Prashant Bhushan-led Common Cause, which challenged the constitutionality of the search committee rules for appointment of Lokpal. The bench also dismissed a petition by NGO Just Society to declare as ultra vires some of the provisions of the Lokpal Act, saying there was no merit in it. Dismissing the challenge against constitutionality of certain provisions of the Lokpal and Lokayuktas Act, the Supreme Court has held that the Constitution does not mandate that in all matters concerning the appointment to various offices in different bodies, primacy must be accorded to the opinion of the Chief Justice or his nominee. The petition challenged the provisions on the ground that the Chief Justice of India or his nominee Judge of the Supreme Court, under Section 4(1)(d) of the Act, is a mere member of the selection committee and the opinion rendered by either of them has no primacy in the matter of selection of Chairperson and members of the Lokpal. The court said if the legislature in its wisdom had thought it proper not to accord primacy to the opinion of the Chief Justice or his nominee and accord equal status to the opinion rendered by the Chief Justice or his nominee and treat such opinion at par with the opinion rendered by other members of the selection committee, “we do not see how such legislative wisdom can be questioned on the ground of constitutional infirmity”. The court also rejected the contention that that there are no norms laid down for appointment of an ’eminent jurist’ under Section 4(1) (e) of the Act, thereby, rendering the aforesaid provision of the Act legally and constitutionally fragile. “As a policy of zero tolerance against corruption, the bill seeks to establish in the country, a more effective mechanism to receive complaints relating to allegations of corruption against public servants,” the court said, underlining the necessity to have the watchdog.